Our garden is already producing an abundance of squash and zucchini. We have already given away some of our bounty to neighbors and friends, and we’ve had plenty ourselves, even though Leo says that he really doesn’t like squash and zucchini. 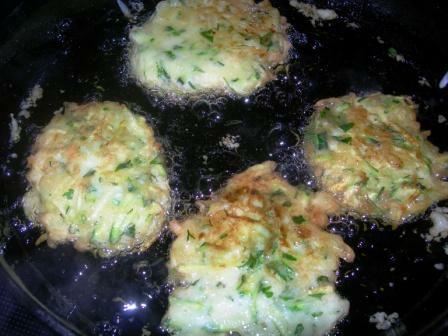 But when I made these fritters a few days ago, Leo said that he really liked zucchini prepared this way. 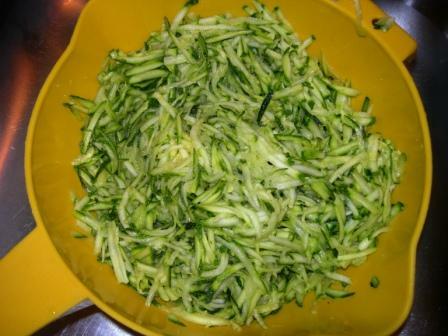 First, shred your zucchini and put it in a colander. Add 1 teaspoon salt. After letting it sit in the sink for 15-20 minutes, press out the excess moisture. 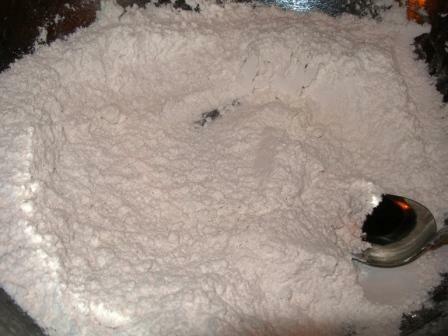 Meanwhile, in a bowl, mix the flour, baking powder, and the salt. Beat 1 egg, add the milk and the zucchini. Add this mixture to the flour mixture. 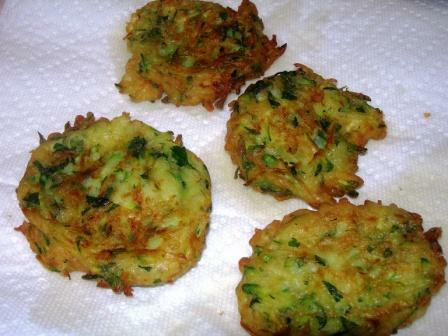 Some fresh parsley (and there may be a little dill in this mix) really makes these fritters sing! 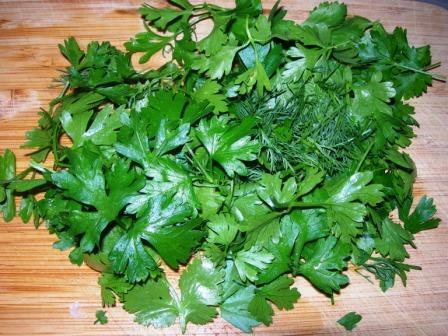 Chop the parsley finely and throw it into your mixture. Mix everything together. Heat 1/2 cup vegetable oil on high heat and drop mounds of the batter into a skillet. Cook about 2 minutes on one side. Flatten lightly with the back of a spatula. When they are beginning to brown, turn and cook the other side. When done, drain the fritters on paper towels. 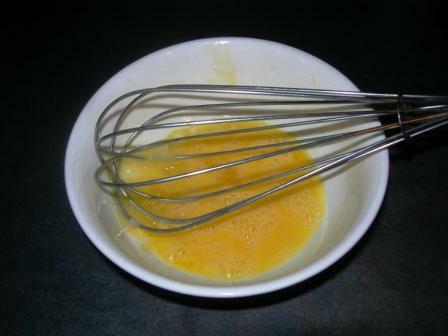 Sprinkle with salt and keep warm while you are cooking the rest of the batter. Serve with a dollop of sour cream. 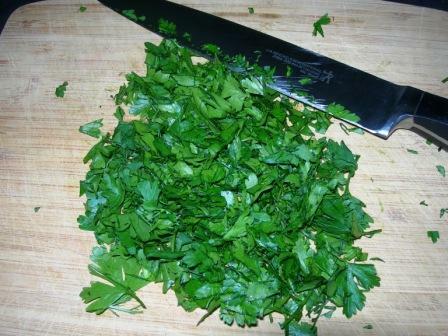 Garnish with fresh chives, if desired. You can see that I must not have desired to go out into the garden to get some fresh chives. I guess I couldn’t wait to eat these fritters! 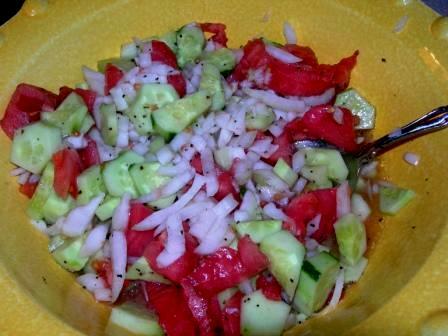 A great side dish to serve with the fritters is a salad made with tomatoes, onion, and cucumber with a light vinaigrette dressing. It’s just about our favorite thing to eat during the summer. Leo even asked me to fix these again the next day. I love fried zucchini so these sound wonderful. Thanks for sharing the recipe. I can almost taste these right now! Thanks for sharing your recipe. I saw the photo you posted at French Country Cottage. I’ve become a new follower, and happy to be here! 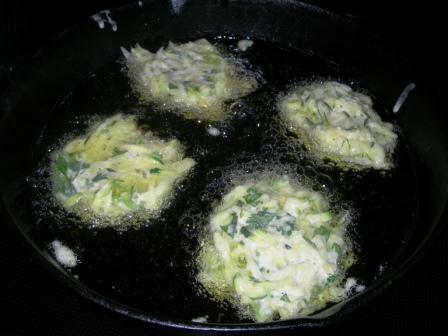 Do drop by when you can, and enjoy the weekend ahead…I’ll be making Zucchini Fritters and thanking you again! I just love these fritters and when mine are ready in the garden, I can’t wait to make these! Mmmm! I featured them this week on my weekend blog link up and hope that you can stop by and share more recipes and/or any up to date posts about your awesome garden! Wow! You have a lovely bounty coming out of your garden. 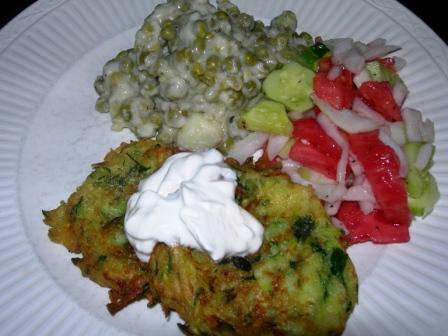 I will have to make this zucchini fritters today and maybe add the salad. Thanks fro stopping by, I am glad you did. Love your blog. Yum! Those fritters look exceptional, and I could go for that entire meal. I’m your newest follower. 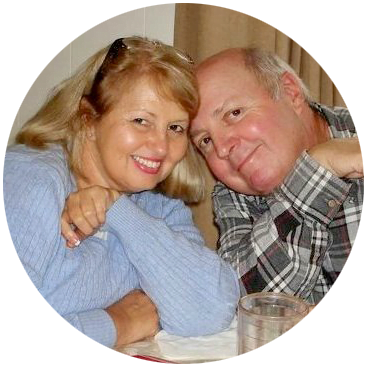 I would love it if you visited my blog and followed me back. I made these last night and they were fabulous! Jackson and Robbie both really liked them! Thanks for the great recipe!!!!!! Oh dear! You made my tummy growl! Looks yummy! I agree that this might just be the best way to enjoy zucchini! 🙂 I haven’t made these in a long time and your post reminded me that I need to give them a try again. Thanks so much for linking this up to Inspiration Friday! Those fritters look so good. Thanks for sharing your recipe. Oh Wow! Mr. P will love these, going to try soon. Thanks so much for sharing. Your post looks like it comes from a woman who knows her way around the kitchen! Your garden looks great too! Thank you for sharing this recipe. I am hoping for nice size squash at some point in my garden. I would like to do something other than fried or bread and this looks like a great start.